This should be against the Geneva Convention. 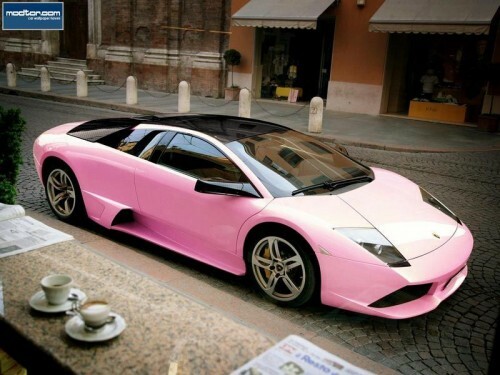 It looks like they painted it with pepto bismol. It’s the Italian version of a Mary Kay car. Never before has ‘tacky’ and ‘in bad taste’ been so expensive. Add some gradient green flames to the front and I would totally drive this.